so I'm a bit weird, your point is? Which reminds me of a brief discussion I had with my then 12 year old daughter, which wasn't going my way. Finally I just said " If you don't rethink this I'm going to have to dress up in Hari Krishna Robes shave my head come to your school and tell everyone I'm your dad." I know how to strike fear into a 12 year old girls heart. All the sudden she learned to use the word "please" in a sentence as is "please, please don't do that daddy." It seem to be an instant behaviour modifier. I wish I had thought of it 20 years ago. Erikka, I guess in some ways, I might be even weirder then you. I am 53 years old and I watch Japanese anime and read manga. The way I look at it is, so what? If other people don't like it, that is there problem. Like what you want to like and be who you are. That is the way to happiness. Also, not a thing wrong about liking old stuff. I can get lost in antique shops just thinking about what I am seeing and wondering what the stories are that the items could tell if they could talk. Truth is that no matter how we may try to alter the facts...we are who we are. We don't always like it, and sometimes with good reason, but the core of who we are is pretty much set in stone. We can make some modifications, get better...get worse...but the person that only we really know is always the same. Sort of depressing at times, isn't it! We are all weird here at PForum, going against the grain in every way. Except it. Now that is weird...in the context of your sentence...."except it" and "accept it" have virtually the same meaning! Depressing at times? Perhaps; but at the same time, comforting. I can check with Mrs Rupert for her approval.....my bet is she will be thrilled at getting rid of a "Rupert Type". After all, I've heard her say "enough is enough and 50 years is too much!" Yeah, Mrs. Rockies has the same complaint. 51 next week (July 24th). Haven't read that in a while...thanks. It is a fairly complete list of all my failings.......which may be why I haven't read it in a good while! I probably should read it every morning...but don't really have to...I have Mrs Rupert. I've taken some comfort in that for over forty years. Last edited by Parallax; 07-16-2016 at 07:46 PM. Wives have incredible memories - for some stuff. Mine remember things I did that upset her 46+ years ago! Memories of things that happened yesterday are another matter. Wives have incredible memories - for some stuff.
" Blessed are the meek, for they shall be married to women !!! " Don't they! 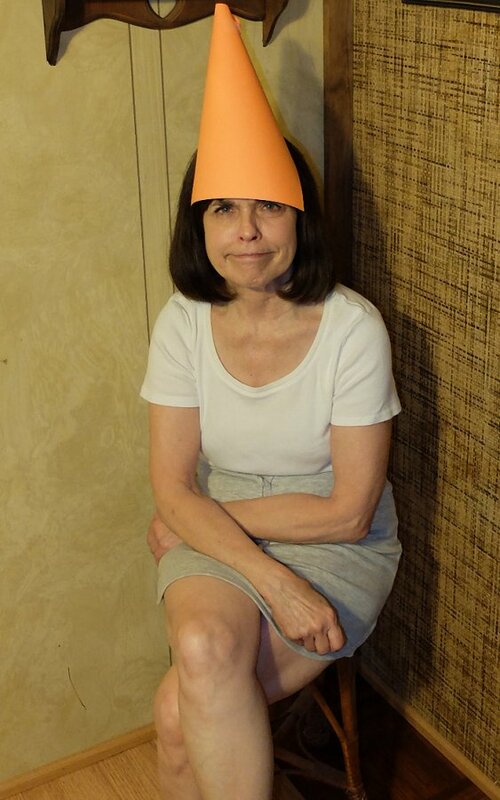 The other night Mrs Rupert didn't eat her veggies and I made her sit in the corner with a dunce hat until she did. She reminded me that on our first date over 50 years ago I made her eat all her meal and not waste it......and she said "I should have walked out the door then and there." Yep, you should have Mrs Rupert, but my mesmerizing charm and stunning good looks wouldn't let you do it! After 50 years, you would think they would learn??? This thread needs a theme song! Seriously, if we're were all the same and normal, this world would be a very boring place! Last edited by photolady95; 07-17-2016 at 11:31 AM. Seriously, if were were all the same and normal, this world would be a very boring place! I am a member of a select group that certified itself insane. I attended, back in the dark ages, Collège Militaire Royal de St-Jean, although monolingual English. The college was designed to produce bilingual officers while doing all the usual military stuff and adding two weeks at a time language of the day. University classes were in mother tongue, mother tongue was permitted in dorm room - but not outside the door. Penalty for speaking wrong language was "exercise". We were asked to choose between becoming bilingual or going insane. We all agreed to choose both.